Category Archives for "Business Broker Reviews, Feedback, Complaints"
Note: Below this section are links to our reviews of individual business broker firms. The business broker sector in the UK has acquired a notorious reputation. It is characterised by smooth talking sales people who are better at signing you up than selling your business. Despite what the sales person may have told you, the vast majority of businesses listed with some of the best known business brokers in the UK never find a buyer! But it’s worse than that. In addition to not actually selling the businesses they’ve taken on many business brokers are highly exploitative, have unfair contracts and have thousands of unhappy customers. Please read our articles here and here for more. However, the UK does also have a few competent and reputable business brokers out of the 1000+ professionals working in this sector ie. out of the business transfer agents + business brokers + commercial real estate agents + M&A advisers + corporate finance firms + all the others who undertake to sell smaller businesses. And that’s in addition to the highly regarded investment banks we have who specialise in selling larger companies and taking them to an IPO or other liquidity event. At UK Business Brokers, we manage the UK’s largest collection of information and intelligence on business brokers. We track data on hundreds of business brokers (and other firms providing the service of selling businesses – Merger & Acquisition advisory firms, corporate finance firms, business transfer agents etc). We collect data on everything from their fees to their competencies to their reputation to the industry awards they may have won (see list below). While much of our data is private and used only to provide services to paying clients, we’ve put together these pages of public reviews – one page on each of the main brokers that we get enquiries or complaints about. While the data in each of the reviews below is quite detailed, it’s just a small snapshot of the data we have on that broker. If you would like assistance with finding the right broker for your business or deciding how best to go about selling your business, please get in touch. Our standard advice is that business brokers are NOT suited to the sale of small businesses and micro businesses (under £1m – £2 million in turnover or under £100K in profit). Our reasoning is here. For these businesses we suggest other options to a safe and cost effective sale and we offer an initial free 30 minute consultation if you have a saleable business. 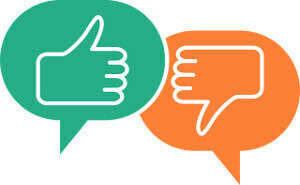 Many sectors are plagued by rogue reviews on feedback sites. As you’re probably aware, rogue reviews can be positive reviews left by the business or their employees and they can also be negative reviews left by competitors. Unfortunately, it’s very, very difficult to tell a real review from a fake review. In fact, it’s almost impossible in many cases. This article explains the problem well and has some useful links to help you detect when an apparently genuine review is actually fake. When reading opinions on reviews and feedback sites it pays to be cynical! To make matters worse, artificial intelligence has now developed to the point where fake reviews created by bots are undetectable from real ones. Please bear that in mind when reading reviews at the sites we’ve linked to in the below articles. – anything else you think relevant.